This year’s event at La Petite Pépinière in Caunes-Minervois is going to be a little different and something special. 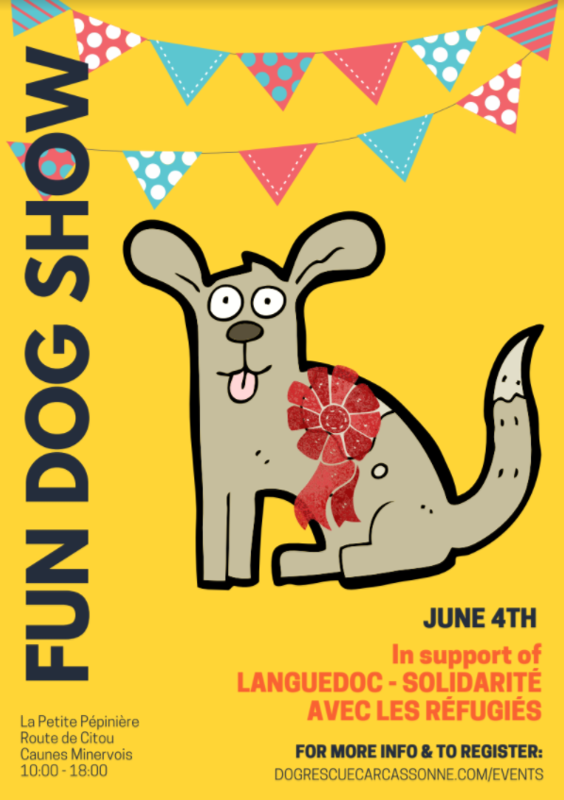 Dog Rescue Carcassonne will be running a “Fun Dog Show”, sponsored by the SPA. 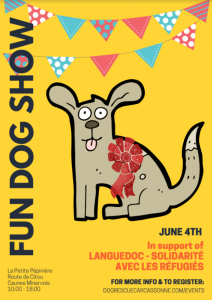 The whole event will be in the style of an English Garden Fete and is in aid of the Languedoc: Solidarité avec les Refugies (Languedoc Refugee Support). Come along with your dogs and show them off by entering into an event at the Dog Show. It really doesn’t matter what breed, age or temperament your dog is – everyone is welcome! 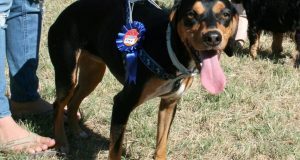 All of the events are designed to be fun for owners and their dogs alike. We are particularly keen to see ex-Rescue dogs as participants or supporters at the event. There will be lots of other stalls and entertainment throughout the day at the event. Teas and snacks and a buffet lunch will also be on sale. Come along and have some fun with or without your dog. We look forward to seeing you there! Choose one or more events from the list below and email jane@dogrescuecarcassonne.co.uk to be entered into the event. Each entry costs 5 euros all monies go to support the charity. 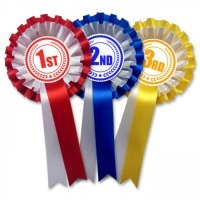 Winners will be awarded rosettes and doggy treats and recognition in our Dogs Hall of Fame Gallery. Entries will also be allowed during the morning at the event itself, at Caunes-Minervois. Come along for a fun afternoon and support both charities! Best in show will be the dog the judges would most like to take home.